Explanation: Towering pillars of cold gas and dark dust adorn the center star forming region of Sharpless 171. An open cluster of stars is forming there from the gas in cold molecular clouds. 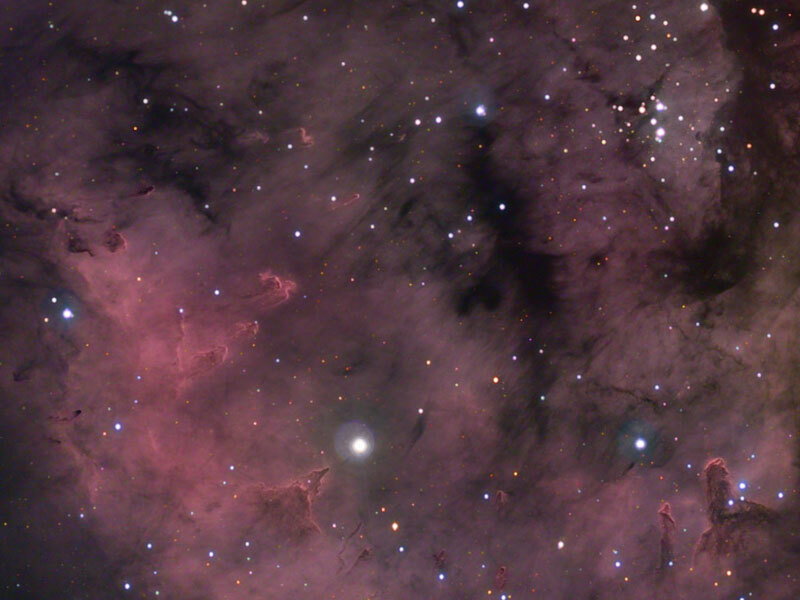 As energetic light emitted by young massive stars boils away the opaque dust, the region fragments and picturesque pillars of the remnant gas and dust form and slowly evaporate. The energetic light also illuminates the surrounding hydrogen gas, energize it to glow as a red emission nebula. Pictured above is the active central region of the Sharpless 171 greater emission nebula. 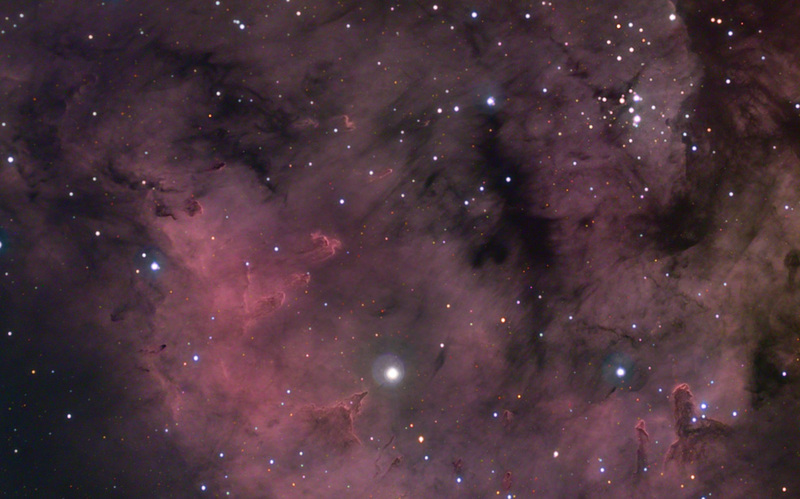 Sharpless 171 incorporates NGC 7822 and the active region Cederblad 214, much of which is imaged above. The area above spans about 20 light years, lies about 3,000 light years away, and can be seen with a telescope toward the northern constellation of the King of Ethiopia (Cepheus).